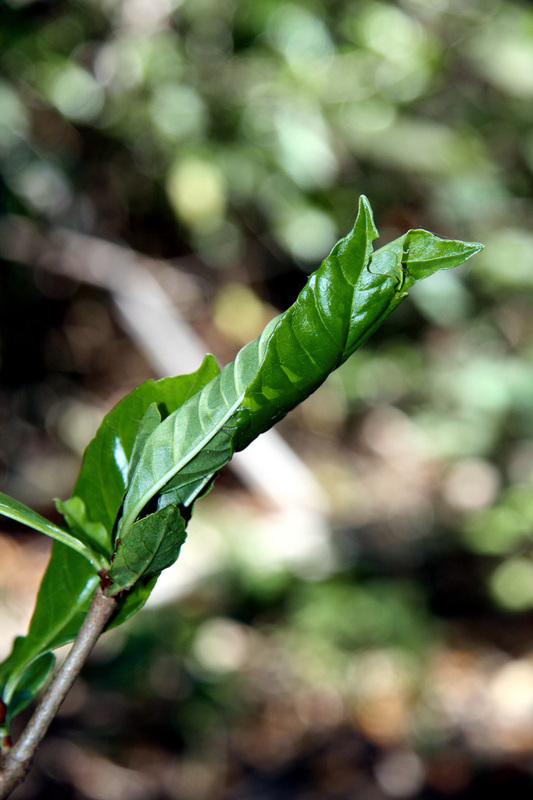 Along the hammock trail at the Oslo Riverfront Conservation Area, the handiwork of crafty moth larvae is evident upon the leaves of shiny-leaved wild coffee (Psychotria nervosa). Unroll the leaf, and you are most likely to find only frass (insect poop). You can see a picture of the moth larvae on BugGuide and, if you wish, enjoy the taxonomic discussion of this moth that likely is very specific to the genus, Psychotria, in its dining preferences. 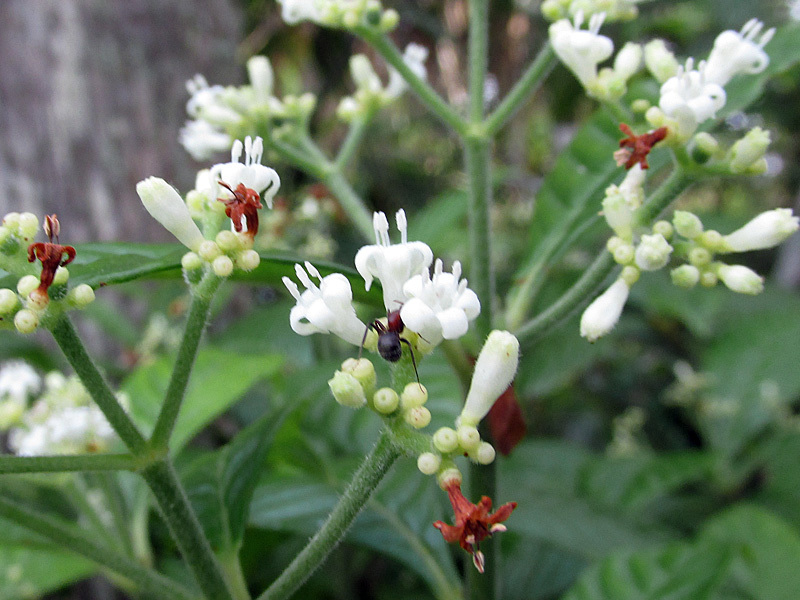 Plant – insect interrelationships are complex and multi-faceted. 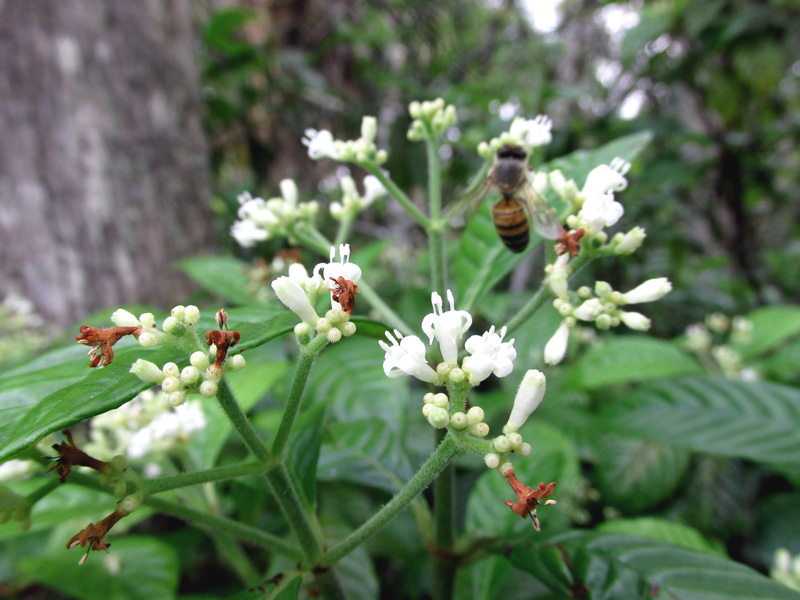 Bees, butterflies & other pollinators ‘flock’ to the nectar of its snowy white flowers of wild coffee. 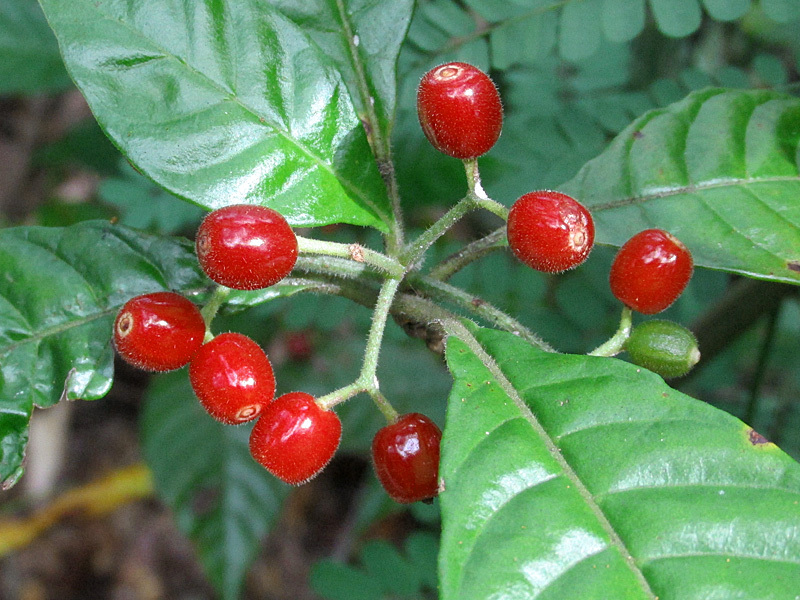 Deep dark red fruits now adorn wild coffee, as well, soon to be feasted upon by birds and other wildlife. What use are Furrows ?